The All India Football Federation (AIFF) has noticed issue to invite bids for new clubs for the Hero I-League across leading dailies of the nation. 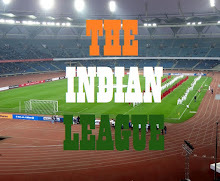 Bengaluru, Mumbai, New Delhi, Ranchi, Jaipur, Jodhpur, Bhopal, Lucknow, Ahmedabad, Malappuram and Trivandrum are some of the cities that AIFF is targeting to get into I-League's fold for the coming season. Winning bidders will be granted the right to own and operate a new club which will compete in I-League in each year starting from 2017/18 Season onwards and will have the opportunity (if applicable and subject to qualification) to compete in the AFC (Asian Football Confederation’s) club competitions. “We are looking forward to welcoming vibrant outfits in Hero I-League. The new entrants will surely bring newer challenges and fresh football dynamics which would provide more competitiveness and thrill to the league”, said Sunando Dhar, CEO, I-League. Gokulam FC from Malappuram, Kerala Evergreen FC from Thiruvananthpuram and Ozone FC Bengaluru have made their intentions public of being part of India's Top Division. With Bengaluru FC opting out for ISL and uncertainty over DSK Shivajians participation, two potential spots are up for grabs for the interested bidders. Though it may raise the number of teams immune from relegation to four, meaning if all of these teams finish between 7 to 10 in points table, the 6th placed team will get relegated.